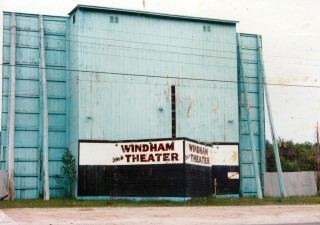 Although it comes as a surprise to many Lake Region residents, Windham had its own drive-in theater. It operated for 36 years. For over three decades the iconic big screen was located near the intersection of River Road and route 302, now occupied by the Lee-Car dealership and Mechanic Savings Bank. The lone reminder today is the street sign “Drive-in Lane,” located near the old driveway that led to the ticket booth. Rarely would families of the 50s and 60s say “Let’s go see ‘such-and-such movie.’” Instead, it would be “Let’s go to the drive-in tonight.” It didn’t really matter what movie was being shown. For teenagers, the drive-in was the entertainment hot-spot during an era of innocence and fast times. Convoys of souped-up, refurbished vehicles would arrive, usually parking in groups in the back row (otherwise known as the “passion pit.” Since the admission price was per-person, a favorite prank was to hide people in the trunk until safely inside the theater grounds. Lamb remembers one weekend in the early 1960s when he tried to sneak his buddies in without paying. Lamb said the ticket booth attendant claimed state law required him to check the car for alcohol and that they had to open the trunk. “Of course, there was no such law, but we didn’t know that. He could see the back of the car riding low.” The boys were made to pay the full ticket price. “But we had to scrounge for change to do it.” said Lamb, smiling and clearly enjoying the memory of the incident. 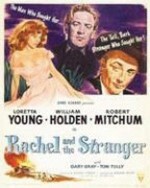 Ginnie (Morse) Jordan and Carol (Lewis) Taylor were in high school and employed at the Windham Drive-In Theater in the early 1960s. Jordan lived directly across the street from the theater and was often hired to clean up the grounds the day after a movie night. “(Patrons) would dump all their (snack remains and other) trash onto the ground before leaving.” She said she and her family could walk across the street with a blanket and enjoy a movie on the ground next to the car speakers. 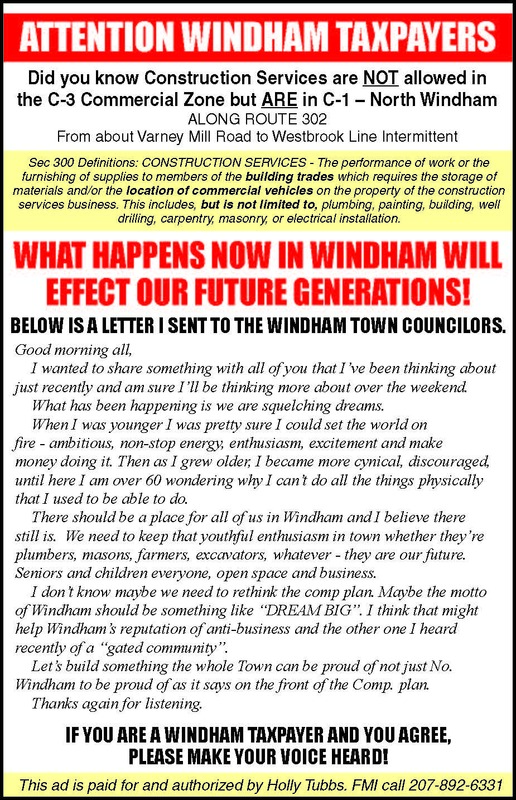 In interviews with long-time Lake Region residents who remember Windham Drive-In, few could name a picture they saw there, but all remembered the train. Being a family-oriented venue, most outdoor movie theaters had a playground; swing sets and merry-go-rounds were common, but the Windham Drive-In playground had something special; a kiddy train. Young children climbed aboard the small rail cars and rode into a wooded area adjacent to the theater. The silver mini-locomotive, operated by an adult, could be heard hauling successive groups of young, smiling faces right up to movie time at dusk. It was also not unusual for cars to drive off at the end of the evening forgetting about the speaker on the window. It made a raw crunching sound and usually resulted in damage to the speaker, the window, or both. The Tevanian brothers, current owners and operators of the Pride’s Corner and Bridgton Drive-Ins, leased the Windham facility in the early 1980s. Jeff Tevanian, who operates Pride’s Corner in Westbrook, says “(The drive-in) is a different environment. It’s about the experience, theater under the stars, not the movie. You can’t experience this on your phone or a tablet. Sometimes simpler is better. Drive-Ins used to thrive, now it’s nostalgic.” Tevanian says running a drive-in theater is not a money maker, but “You’re providing a joyful, entertaining space for friends and family – you get caught up in it (because) you have the venue for that. The rest of that season, and the following, were successful, but 1984 proved to be the last.